Because Emergencies Seldom Happen in Your Garage. The Honda Plus Roadside Assistance Plan is designed to protect you anywhere in Canada or the Continental USA and our toll-free emergency hotline is staffed by bilingual counselors 24 hours a day, 365 days a year. There is a network of more than 20,000 approved towing and roadside service facilities that support our program. Everyone is pre-screened by our supplier and qualified to provide round-the-clock towing and roadside incident support. Emergency Service: Battery boosting, delivery of gas to your stranded vehicle and changing flat tires are the types of services provided. Honda Plus Roadside Assistance Plan does not cover the cost of gas. Winching Service: If you're stuck in snow, mud or a ditch, call us to arrange winching services. We'll cover up to $100.00 per incident. Towing Service: We will tow your vehicle from the breakdown site to your preferred Honda Dealer within 100 km or to the nearest Honda dealer within 300 km per incident. Trip Interruption Benefits: Should your vehicle breakdown more than 100 km from home, Honda Plus will provide you with up to $500.00 for emergency accommodation, meals and car rental. Traffic Accident Services: For accidents within 100 km from home, we will tow your vehicle from the accident site to your preferred Honda Dealer within 100 km or to the nearest Honda dealer within 300 km per incident. For accidents more than 100 km from home we will also provide car rental, accommodation, meals and return of passengers to their home in the event of hospitalization, up to a maximum of $500.00. Emergency Message Service: In the event of an emergency, Honda Plus will make every effort to get a message to family, friends or business associates. This service is provided 24 hours a day in Canada or the USA. Dealer Locator Service: When necessary, Honda Plus will provide you with the exact location and phone number of the nearest authorized Honda Dealership. So you can locate original parts and quality Honda service anywhere in Canada or the USA. Roadside Assistance is automatically enhanced once you purchase Honda Plus Comprehensive Plan for your 2005 or newer vehicle. The services listed below are added to the above and the combined services are extended to the length of your plan term. The Honda Computerized Trip Routing Service: Call us 14 days before you go on a trip and we'll send you a touring information package. The package includes a custom computerized trip routing map, road, city and vacation area maps, details of places of interest en route and more. Car Rental: If the repair time on a covered breakdown is 5 hours or greater, or Honda Canada Inc. doesn't have the required parts, Honda Plus will allow you up to $35.00 per day towards a car rental for a maximum of five (5) days. This benefit cannot be claimed in conjunction with Trip Interruption Benefit. Tire Road Hazard: If any of your vehicle's tires are damaged and unsafe due to a road hazard, Honda Plus will pay for the installation and balancing charges plus the value of the tire based on the remaining tread depth at the time of the loss. Maximum of four tires and/or repairs. 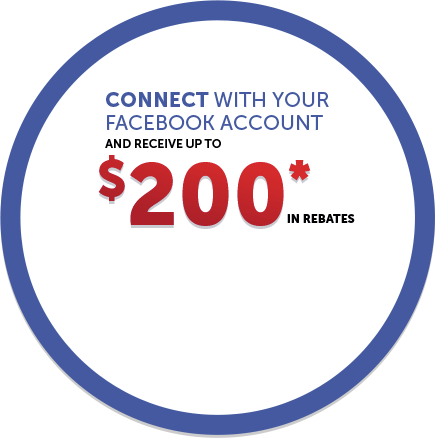 For Honda Customers with Honda Plus Roadside Assistance, the number is 1-800-465-PLUS (7587). For Customers without Honda Plus Coverage, Roadside Assistance is Available through Campbell Towing 613-342-0851.